One pursued the other through the glacial hunting ground of a European Ice Age. 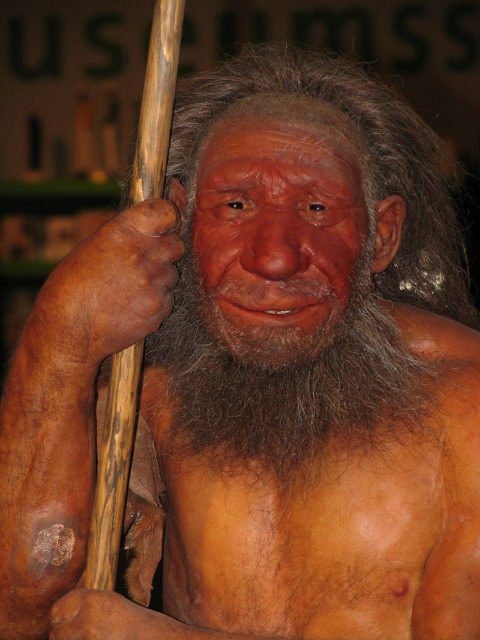 However new DNA research shows Neanderthals and woolly mammoths have more in common than previously thought. A fresh genetic link has been revealed, indicating factors such as fat storage, increased hair/skin growth and heat generation were regulated by the same types of DNA. Conducted by Prof. Ran Barkai and Meidad Kislev of Tel-Aviv University and published in the journal Human Biology, this investigation explored “molecular resemblance” between these natural opponents. 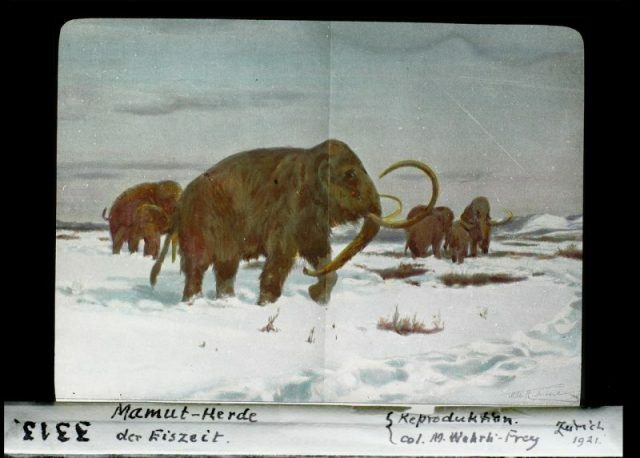 They state the two species “were direct descendants of African ancestors, although both fully evolved and adapted in Europe during the Middle Pleistocene.” The Pleistocene epoch (particular period) is another word for Ice Age and is thought to have taken place 2,588,000 to 11,700 years ago. Several Ice Ages have occurred, creating extreme situations where temperatures plunge and glaciers dominate. 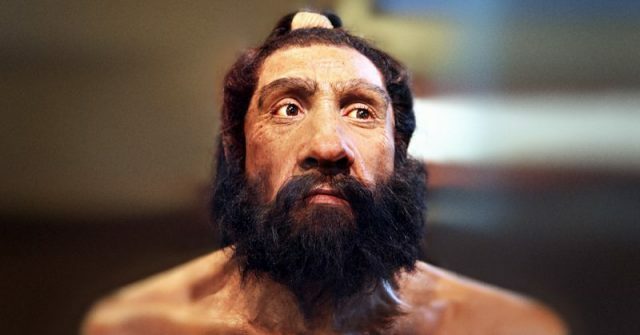 The Neanderthal, whose existence was first properly established in 1856, is believed to have migrated to Europe from Africa around 500,000 years ago (incidentally, the same timeframe is applied to mammoths). 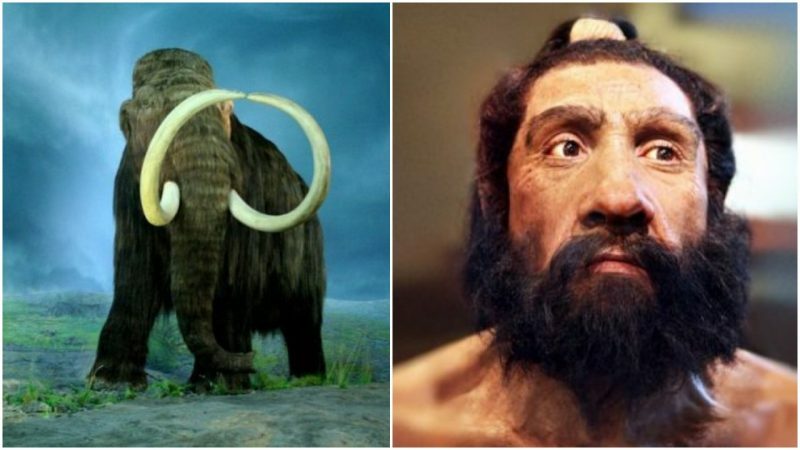 Neanderthals and woolly mammoths are thought to have shared the same habitat for thousands of years. Despite their status as part of ancient history, a surprising level of accessibility has proved invaluable to modern day researchers. The pair had a less than friendly attitude toward each other, yet in a perverse way, this helped their evolution. 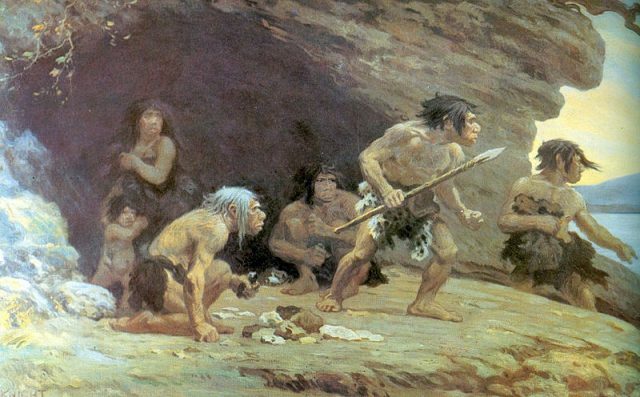 In the case of Neanderthals, consuming mammoth flesh was more than just a nutritious meal. Every great species has its end, though speculation is rife on what exactly happened to trigger their downfall. Climate is seen as a culprit, but a more sobering thought is the arrival of Earth’s most imposing species… modern humans. A detail from The Flint Workers of the River Vezere by paleoartist Charles R. Knight, 1920. The mural (displayed at the American Museum of Natural History) depicts a Neanderthal family at Le Moustier cave in southern France. 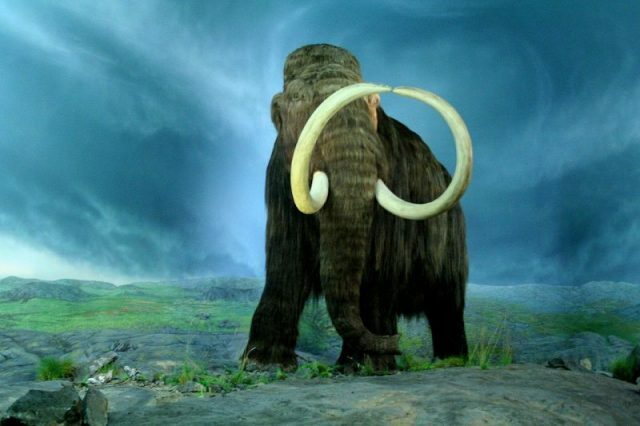 As for woolly mammoths, History.com writes, “Humans developed significantly during the most recent glaciation period, emerging as the dominant land animal afterward as megafauna such as the wooly mammoth went extinct.” That being said, the story behind either’s demise is ambiguous and other aspects such as disease should be taken into account. The findings of the team at Tel-Aviv bring these long-standing questions ever closer to definitive and fascinating answers.